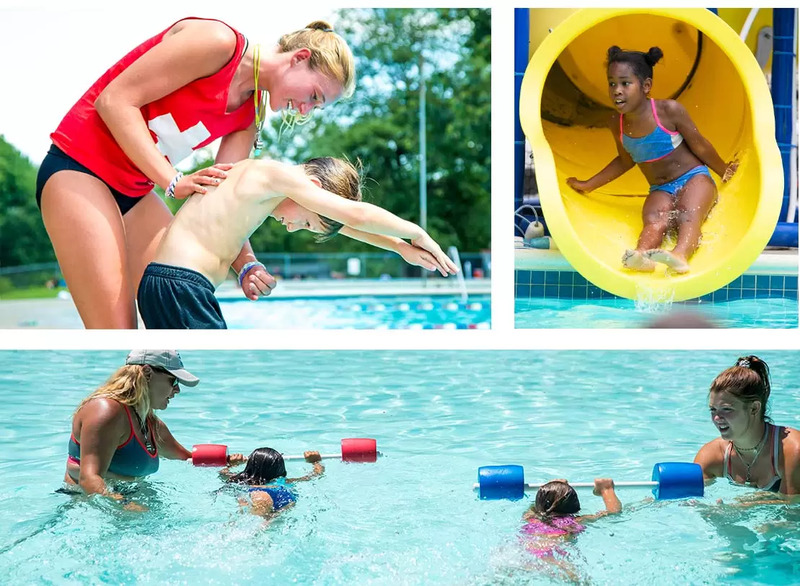 If there is one thing that Jeff Lake Day Camp is known and respected for more than anything else, it is our renowned Swim Program. We are known as “the camp where everyone learns to swim,” and we take that reputation very seriously. We believe that swimming is a “life skill” as well as a sport. We help children develop confidence and competence in the water. While learning to swim well is tough, nothing feels better to a kid than working hard and feeling a sense of pride in their new skills and accomplishments! Campers swim twice a day at Jeff Lake; once in the morning for swim instruction, and again in the afternoon for free swim. On the hottest days, there is even more time in the pool! Our three Waterfront Directors together have over 75 years of teaching campers to swim at Jeff Lake. They lead an experienced staff of certified life guards and water safety instructors. Our youngest campers receive one on one instruction if they are learning to swim for the first time. When campers are ready, they’re eager to move on to the lake! We know that they are prepared for all of the great water activities Jeff Lake has to offer. It is all part of the culture of continuity and growth that begins when a child first ducks his head in the water.